VANCOUVER — If the talent evaluators were never fully sure how to project what kind of talent Patrick Simon was going to become coming out of PoCo’s tiny Archbishop Carney back in the spring of 2013, the answer was pretty evident Friday night at War Memorial Gymnasium. In a 94-75 win over Prince George’s visiting UNBC Timberwolves (8-9), a win which gave No. 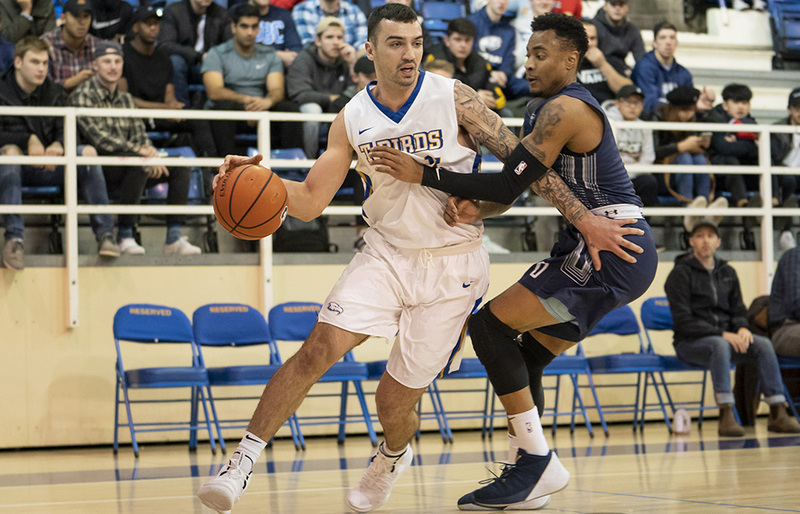 4-nationally-ranked UBC (16-1) its 15th straight Canada West victory, the depth of skill in Simon’s game was evident for all to see. Not only did he finish with a game-high 20 points to go along with seven rebounds, he fit seamlessly within a cast players with much more trumpeted resumes. Where did his dexterity and ball-handling confidence come from? How about the feel and the footwork to man-up and defend on an island? And has that three-point game, one which went 4-for-8 on the evening, ever been more reliable? “Every year I focus on a certain aspect of my game and I work in the summer really hard to get better,” says Simon who, along with teammate Charles Dai, will be recognized Saturday as each plays in their final UBC home regular-season game. Nothing about his road to this season has been easy. A last-second invitee as a replacement to the 2013 B.C. high school all-star game was an opportunity Simon parlayed into something much bigger. All he did that day was score 20 points en route to being named the game’s MVP. That led to a one-year stint at Future College Prep in Los Angeles, where Simon cracked the first-string and played in an amazing 95 games (84-11) over one season, including a win over U.S. No. 1 Findlay Prep. Simon loved the basketball, but not so much the off-court existence, and decided to return back home, spending the 2014-15 season at Simon Fraser. 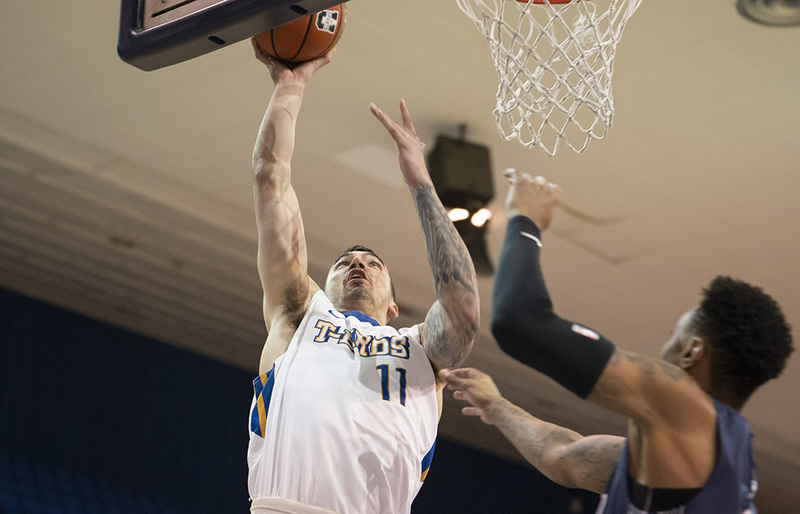 Now in his fourth season at UBC, he’s averaging single-season highs of 11.0 points and 6.0 rebounds per game over 21.5 minutes per contest, sitting fifth in team scoring behind Jadon Cohee, Manroop Clair, Grant Shephard and Mason Bourcier. His confidence to attack off the dribble has just added a new level of effectiveness to his game. 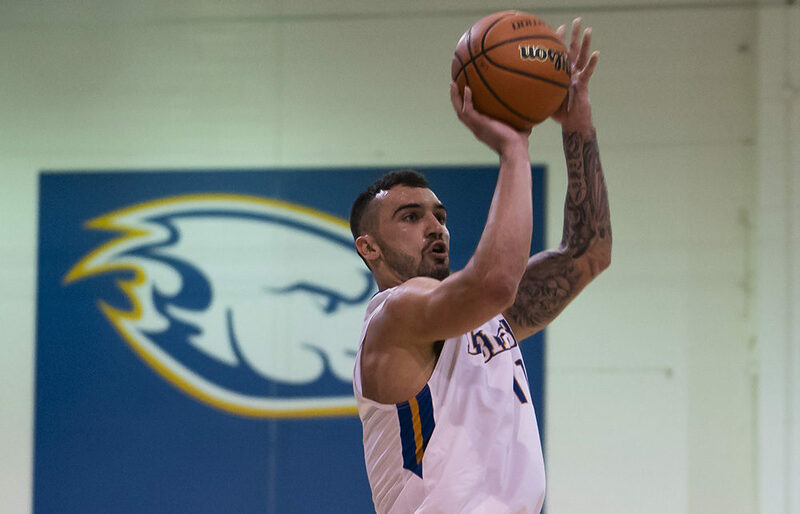 On Friday, a UBC team which has lost shooting guard Clair for at least two-to-three weeks with an elbow injury, doled out a different set of minutes. Shepherd was outstanding in the front court with 18 points and eight rebounds. Guard Bourcier had 19 points and six rebounds, while both he and Jadon Cohee each had eight assists. Tyrell Laing, a Prince George native, led the Timberwolves with 19 points, hitting four treys, including three in a row to account for the team’s first nine points. For Simon, Friday’s win was yet another affirmation of where he has taken his game since those days of being named a last-minute addition to the 2013 B.C. high school all-star game roster. That, and the tattoo Simon has inked across his chest which reads ‘Only The Strong Survive’.